Talia Stanley ('18) prepares to pass the ball. 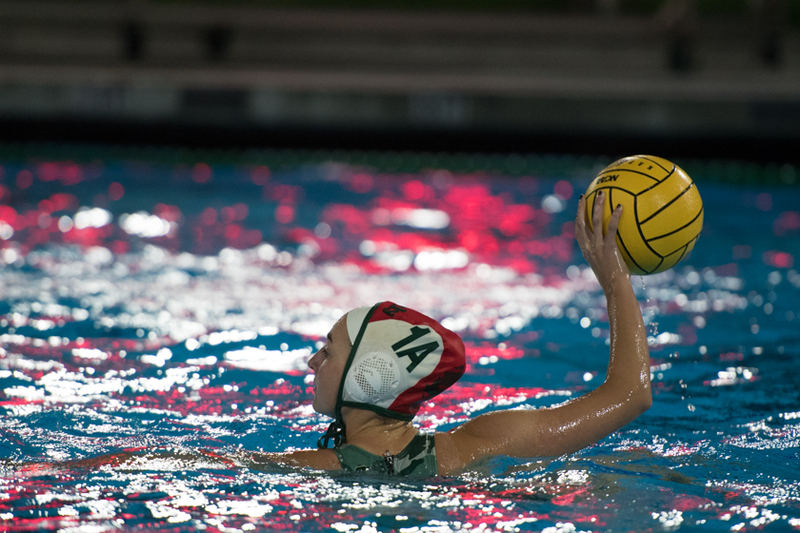 The girl’s water polo team had an intense final game against Mountain View on Tuesday, playing tough but in the end losing 12-6 to the Spartans. Tuesday’s game was the last one of the season, as this was the semi-final match of CCS playoffs. Mountain View is top in the league right now and slated to win the whole tournament, so despite the bitterness of the loss the rival was a worthy opponent. It was certainly a fight to the end for both schools. The scores for both teams doubled in the fourth quarter, with Mountain View scoring six within the period and three of those within a minute. The Vikings responded with three goals of their own and put up a strong defense. However, the Spartans were not to be denied tonight. Although it was hard to end the season on this note, Stotland clearly felt confidently in the girls’ performance that night. Senior Hollie Chiao also had a positive view of the last game, as she explained the team’s mindset before hitting the pool. The team clearly fought hard until the buzzer, with 18 total blocks for Sophie Khadifa (‘21), great teamwork amongst all Vikings in the pool, and goals from each of the team captains – Chiao, Sophie Frick, Sabrina Hall, and Talia Stanley (all class of 2018). The seniors certainly had a lot to contribute to the season overall both in talent and in mentality. 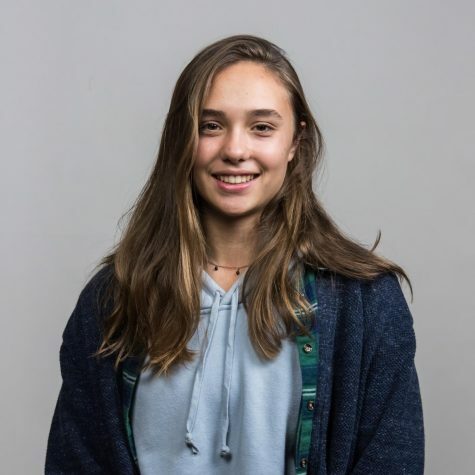 “I played with all of [the seniors] last year too, and they basically taught me how to play water polo. They are so supportive of all the freshmen and all the sophomores and they are always bringing our spirits up,” said Chesnie Cheung (‘20). The younger players are losing almost half of the team, with seven seniors graduating this year. Their presence on the team will leave a big hole in the coming season. “I’m going to miss that a lot, the positive attitudes and their passion for water polo.” said Cheung. Stotland said as much of the seniors. He described having them on the team like having coaches in the pool, saying that their energy and love of the sport will be greatly missed. Although Paly was eliminated from CCS playoffs, the post-match emotions were far from shaken or despondent. Despite the Lady Vikes disappointing semi-final loss, the community of girls and their love for water polo is something that can’t be taken away from their season.